Richard Lloyd Anderson, 81, lifelong resident and community servant of Winlock, passed away suddenly at home on October 22, 2018. Born in Toledo to his parents Lloyd and Hilda Anderson (Sobolesky) on August 30, 1937, he grew up attending the Evaline School through the eighth grade, then graduated from Winlock High School in 1956. He immediately began his career of 42 years working to build bridges for the Northern Pacific Railroad (now BNSF). While working for the railroad, Richard began his lifelong passion of volunteering his time by joining the Winlock Fire Department (now Lewis County Fire District 15) in 1959. He would continue serving the Fire Department for 51 years, climbing the ranks from Firefighter to Fire Chief, a position that he held for ten years from 1987 - 1997. 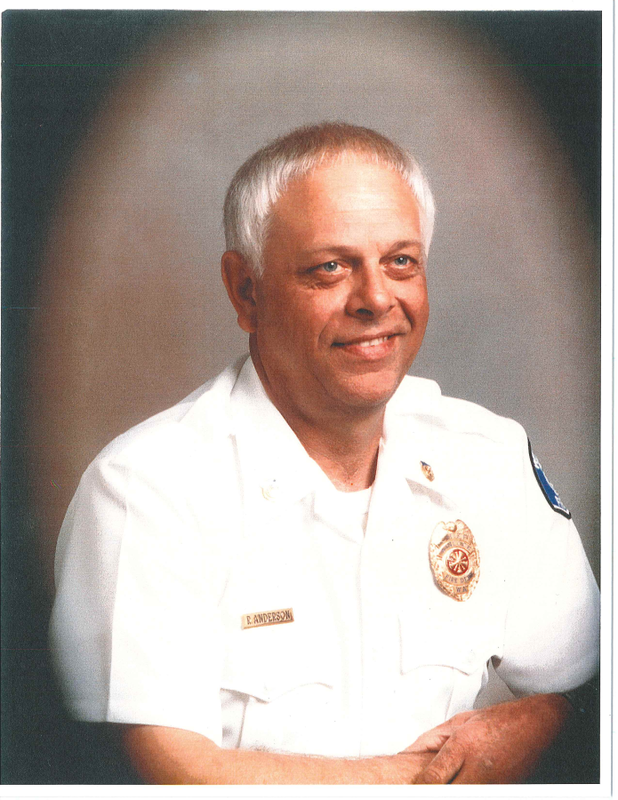 After retiring as Fire Chief, Richard was elected Fire Commissioner for two 6-year terms from 1997 - 2009. Here he continued his unending goal of improving equipment, training and personnel to increase the Department’s ability to provide service to its citizens. Throughout his volunteer service, Richard would always stressed that the support of a firefighter’s family and their sacrifice of time were as important as, if not more so, than the firefighters providing the responses and committing hours to hone their craft by training. In addition to countless hours volunteering with the Fire Department, Richard served 13 years as a City of Winlock council member from 1974 - 1987, until he resigned his position to become Fire Chief. Richard volunteered over 35 years with the Washington Department of Fish & Wildlife as a Hunter Education Instructor where he taught adults and children alike the importance of gun safety, wildlife management and outdoorsmanship. In addition to all of his other volunteer activities, Richard also coached youth sports and regularly participated in the “chain gang” for Winlock High School Football. Upon finally retiring from his full-time and volunteer careers, one could find Richard spending time with grandchildren, flying remote-controlled airplanes, hunting in the woods, checking in at the Fire Department or having a visit with his favorite bank tellers at Timberland Bank. In all of his activities, with his infectious smile and genuine curiosity about those that he would meet, he never knew a stranger. Richard is survived by his wife of 61 years, Janice (McGee), his brother Ed (Margaret) of Winlock, sons Dennis (Kaye) of Chehalis and Ron (Ramona) of Winlock, grandchildren Kevin (Kimmy), Matt (Amanda), Melissa (Tony), Michael, Alisha and Mikaela, and great-grandchildren Ryan, Cole, Shayla and Odin. A memorial service is scheduled for 1:00 p.m., Saturday, November 3rd, at the Winlock High School (241 N Military Rd, Winlock) with a graveside service and reception to follow. In lieu of flowers, the family requests donations be made to the Winlock Volunteer Firefighters, P.O. Box 705, Winlock, WA 98596.